Albion manager Chris Hughton has agreed a new contract until the summer of 2021. Hughton, who was under contract until 2020, has been rewarded for keeping the Seagulls in the Premier League after promotion from the Championship last year. The 59-year-old was appointed Albion boss on December 31, 2014, when the club were struggling in the Championship. He led them clear from danger, before they agonisingly missed out on promotion through goal difference the following season and then lost to Sheffield Wednesday in the play-offs. Brighton responded to win promotion in the 2016/17 season and Hughton guided the club to a 15th-placed finish in the Premier League this year. On the new deal, Hughton said: “I’m delighted to have extended my time with the club, and I would like to thank the chairman, the board, my staff and everyone at the club, including our fans, for the support we’ve had in achieving our aims. 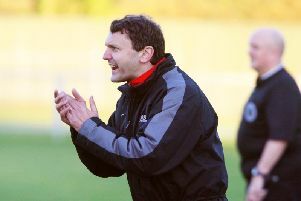 “The set-up in terms of the training ground and excellent facilities, and the professionalism of all the staff across the club gives us a platform and creates an excellent environment for us to work on a daily basis - and I would like to thank everyone at the club for their efforts this season. Albion chairman Tony Bloom said: “Chris’s record as our manager is absolutely superb, he has been great for the club and his measured and calm approach brings out the very best in all around him. Chief executive Paul Barber added: “Chris has been an absolute pleasure to work with on a day-to-day basis. He understands the club, the community and what it takes to make progress and bring success - and he is delivering both on and off the pitch.